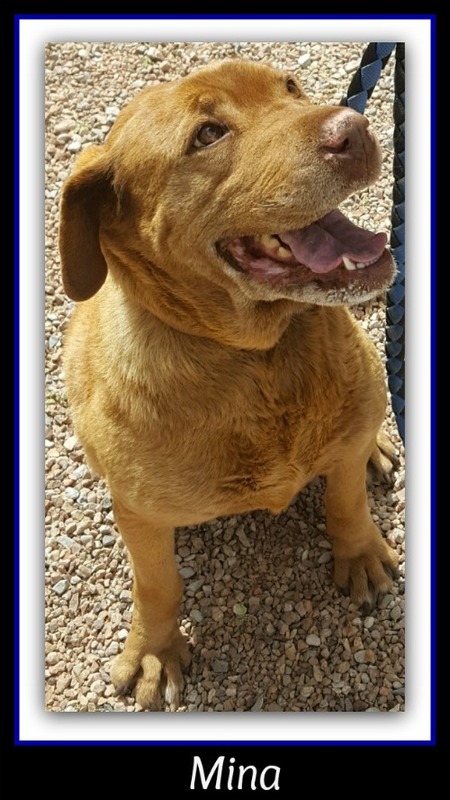 Minia is a golden or yellow lab mix. Her one owner has had her since she was a pup but is moving and can’t take her. Mina has a great disposition and a super sweet smile. If you are looking for an older dog with lots of personality Mina may be just the gal for you. Call today for an appointment to adopt 520-457-2545. Her adoption fee is $40 + $10.99 for micro chip registration.